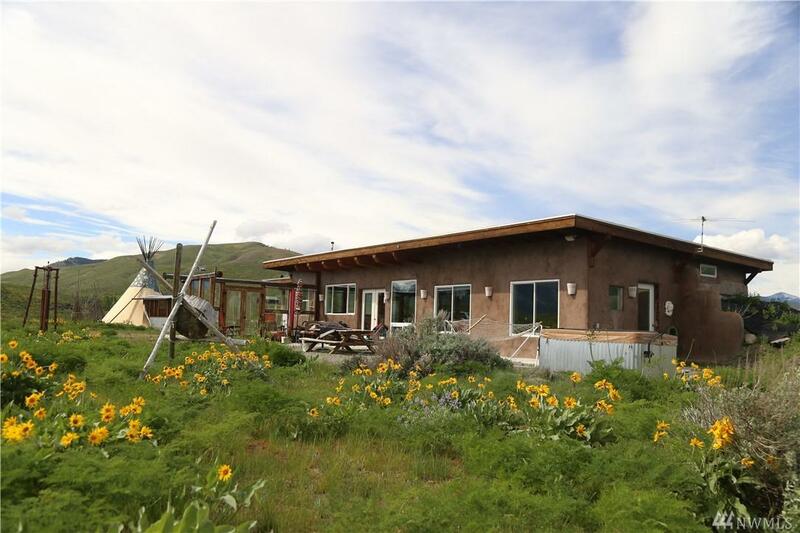 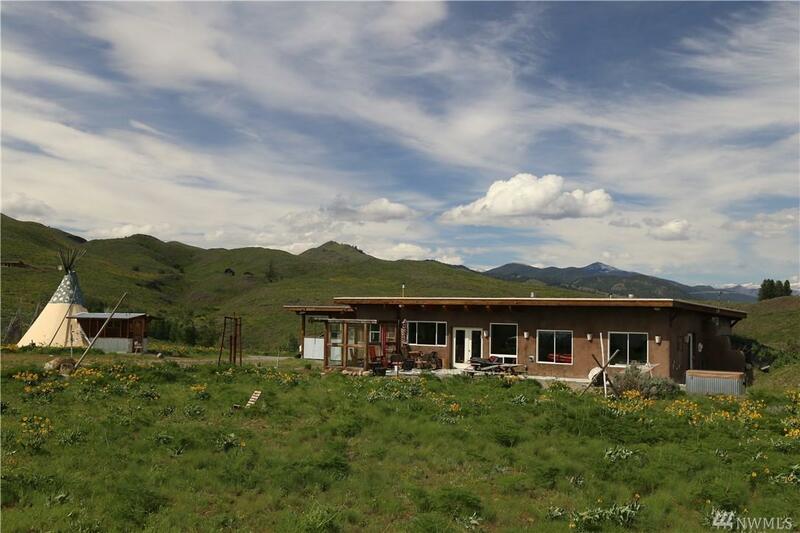 Custom Rendezvous home on 20 acre; passive solar designed with low maintenance as the focus. 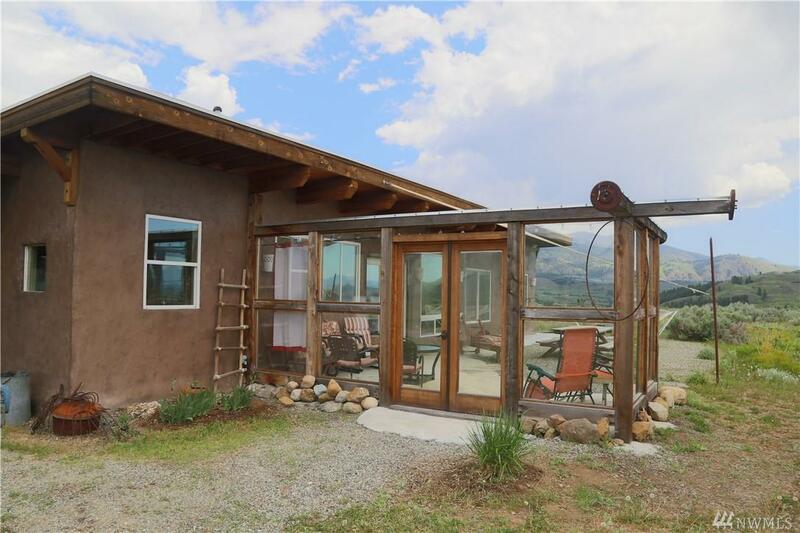 Artistic 1,300 sf stucco; 2 BDRM, 2 BA, designer concrete floors, stucco walk in shower with artistic details, open floor plan, french doors onto a courtyard & hot tub with deco glass fencing & private views of the Valley & mountains. 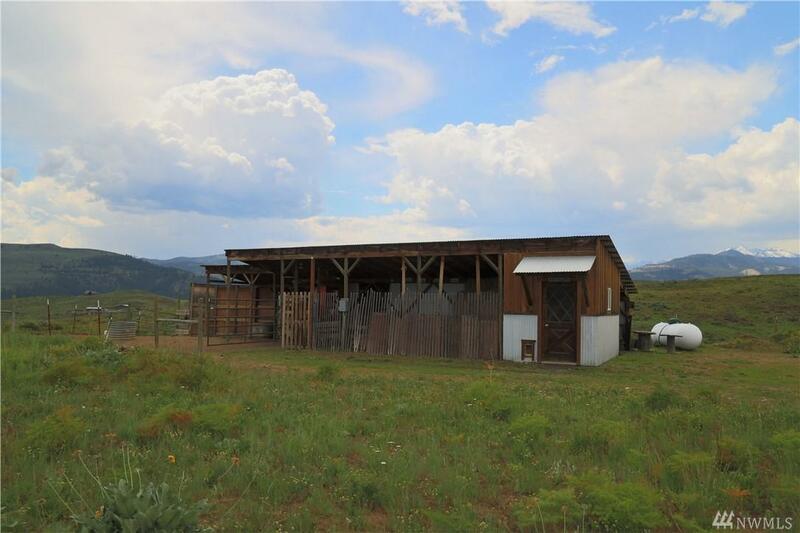 Includes a studio apartment, detached double garage, heated shop, covered carport, custom teepee with propane fire pit, & small out building or equestrian barn.